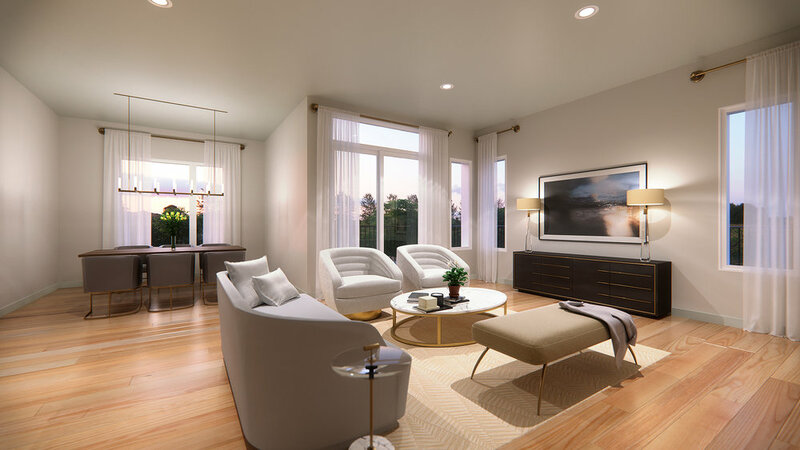 The Aberdeen is a new construction luxury condominium located in a Landmark District in Brighton. The project required extensive reviews with District stakeholders as well as the Boston Planning and Development Agency using the City’s Article 80 Design Review protocols. The facade was inspired by iconic art deco buildings found further out Commonwealth Avenue. 40 residences enjoy a variety of views and layouts, and penthouse units have generous roof terraces created by stepping the buildings mass. Parking is concealed behind and under the building, with mechanical lifts employed to increase the available spaces. The ground floor shares a rich series of amenity spaces with small scale boutique retail.